What did the analyses of institutions show for this overpriced and controversial urban sculpture? Violations of laws and the Constitution, artistic, architectural and urban standards, non-targeted spending of budgetary money, forgery – “Porta Macedonia” was also presented as a sculpture. Professor Miroslav Grchev says that he cannot forgive this government for entering so easily into the baroque building of Ilindenska bb. 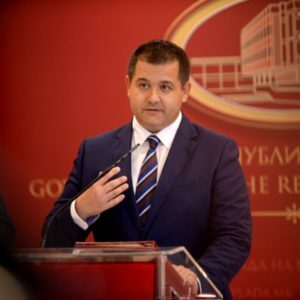 Government spokesman Mile Boshnjakovski says that “Skopje 2014” is a complex project where the responsibilities of several institutions are intertwined. Although it was announced that it would cost about 80 million Euros, 700 million Euros were spent on the megalomaniac project “Skopje 2014”. This almost tenfold increase went through the violation of a series of laws and non-targeted spending of budgetary money, which is now announcing a proper procedure for all those responsible for the implementation of the project. This move, which changed the character of the central part of the capital of the Republic of Macedonia, is still under a comprehensive analysis of the Working group established by the Ministry of Culture. For the Inbox7 portal they say that the recommendations of this body addressed to the Ministry of Culture and the Government are suggesting a significant number of sculptures, the fountain “Warrior on a Horse”, the Gate “Macedonia”, as well as the unfinished monument “Mother Teresa”, located near the square Macedonia, to be removed from the current locations. The Ministry of Culture, however, for the portal says that on the basis of insight into the overall documentation on the decision-making, financing, preparation and placing monuments and other facilities in the elaborations, the Working group has unambiguously found violations of a series of laws. First, the Law on budget, then the Law on the budget implementation, then the Laws on public procurements, memorial monuments and memorial landmarks, spatial and urban planning, as well as the Law on protection of cultural heritage. The Ministry also clarifies that the elaborations state that in all projects, without exception, there was non-targeted spending of budgetary money and that the Working group recommends initiating appropriate procedures before the competent state bodies. A total of 39 sculptures were built, which were unlawfully placed through an urban equipment procedure that was also not met. Moreover, “Porta Macedonia” was presented as a sculpture. In the elaboration for souvenirs and souvenir gift shops, to which Inbox7 came, non-targeted spending and violation of the Law on Budget was established. A lack of public competition for design solutions and design was identified, and the souvenirs were mainly ordered from China with absence of professional aesthetic valorization, states the elaborate. 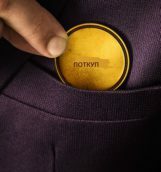 In the first phase, souvenirs were procured in the amount of 19 million 982 thousand denars, and in the second phase of 24 million 996 thousand denars. A total of 39 sculptures were built. The Working group found that sculptures “Bull”, “Shmizla”, “Masks” and the rest 32 that were placed in the central city area in 2009 and 2010 were placed violating artistic, architectural and urban standards. They were unlawfully placed through an urban equipment procedure that was also not met. Moreover, “Porta Macedonia” was presented as a sculpture. 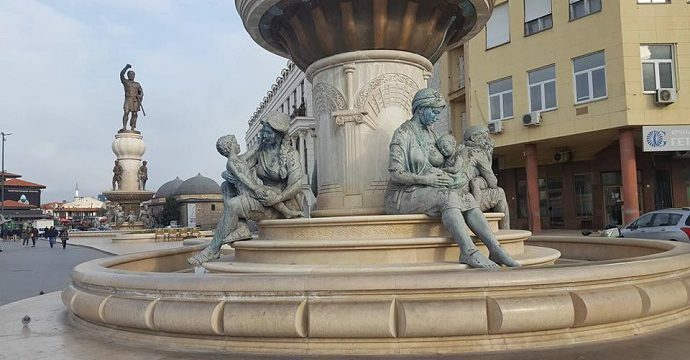 In the elaboration of the Working group of the Ministry of Culture, it is recommended that the Municipality of Centar cancels the decisions it issues for placing the sculptures. The Museum of Contemporary Art that has a contract with the former government composition for preserving and maintaining sculptures has been asked to reevaluate their artistic values. In the elaboration for the monument “Philip II” it is said that, as in the case with the monument of the “Warrior on a Horse”, i.e. “Alexander the Great”, the provisions of the Constitution and the Law on Memorial Monuments are violated. The elaboration also states that the Law on Budget has been violated, abuse of office has been committed, and several laws related to the location have been violated. And this monument is proposed to be removed. In the analysis of the formation and conceptualization of the “Museum of VMRO”, the Working group identified a number of irregularities and violations. 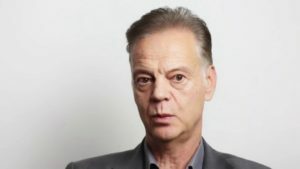 “There are irregularities and violations of several laws, such as: Law on Budget and Law on Budget Implementation, Law on Museum Activity, Law on Protection of Cultural Heritage, General Principles and Standards of Contemporary Museology as well as Intrusion in the Identity Corpus of the Macedonian People and ideological coloration of the museum as a whole and favoring party myths. In addition, the museum insists on wax figures in a setting that vulgarizes and offends professionalism in museology”, the Working group assessed. Among the recommendations it is said that the “Museum of VMRO” should be deleted from the list of protected cultural heritage, including “Porta Macedonia” which is a part of the museum. It is also proposed to rename the museum in order to avoid the associations with the active political party in our country. A change is also suggested in the permanent setting in parts that are contrary to historical truths, which do not represent the most significant moments of the Macedonian struggle for statehood and independence. And due to indications about possible financial irregularities during the construction of the museum, further investigation of possible criminal procedures is recommended. Violation of several laws and misuse of funds, determined the working group at the Ministry of Culture in the elaborations for the monuments of “Gemidzii”, “Tsar Samoil” and “Dimitrija Chupovski”. In all elaborations violation of a series of laws is unambiguously found – for budget, for implementation of the budget, for memorial monuments and memorials. The Law on Spatial and Urban Planning and the Law on Protection of Cultural Heritage. In the three elaborations, without exception, the Working group recommends a measure – removing the monument and restoring the site in its original state, as well as initiating appropriate procedures before the competent state bodies. So far, only the monument of Andon Lazov Janev – Kjoseto has been removed, following the recommendations, and the place has been brought to its original state. In the elaboration of the Working group it was determined that there was no construction decision for its placement, after which Municipality Centar ordered the City of Skopje to promptly and urgently remove the monument. 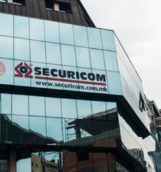 It is stated in the explanation that it was raised with two decisions of the City of Skopje City Council on the session held on July 14, 2014 and the night between September 6 and September 7, 2014 it was set before the Supreme Court. Kjose Memorial was set after the decision to receive a donation from the Association for the Spiritual Unification of Setinci, Popadinci and Krushoradi from Florina. The elaboration says that with these decisions of the City of Skopje, the competences of the Assembly are undoubtedly derogated in the decision-making process for celebrating events and personalities. Furthermore, it is stated that due to the fact that the law stipulates that the decision on the monuments to be with the majority of the non-majority communities, the City of Skopje has bypassed and derogated not only the competences of the Assembly, but also Badinter’s decision. “The monument was placed in a procedure where a severe forgery was made with a location in the extract from the DUP for the court palace. There were three serious violations of the Law on Memorials and Monuments, the Law on Spatial and Urban Planning and the Law on Construction, due to which the monument of Kjoseto acquired the status of illegal construction and should bear the consequences that the law prescribes for illegal constructions”, it is stated in the explanation. To the question of Inbox7 whether the recommendations for the other objects listed in each elaboration will be dealt with, the Ministry of Culture says that this will depend on the kind of decisions the Government will make for this. Spokesman Mile Boshnjakovski with the answer that this is a complex process, because in their individual realization different state bodies and institutions at central and local level participated, using different processes, approaches and ways of mutual cooperation in the implementation, and therefore there was a complicated situation of interconnection of responsibilities and competencies. We asked the Government what decisions had been taken and what measures would be taken in accordance with the given recommendations of the Working group, whether there would be removal of other monuments or objects from Skopje 2014 and how many of them found in the construction phase were stopped, and which would continue to be built on. The government spokesman added that the elaborations of the Working group would be carefully considered, as well as the implications that would be created with their implementation, and then a decision wouldl be taken on how to proceed further. 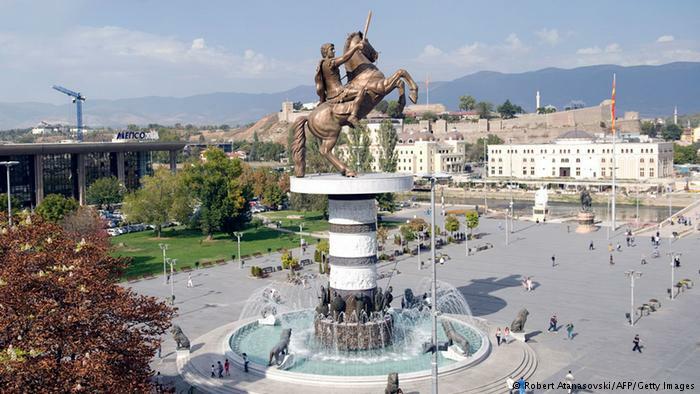 In June this year, spokesman Boshnjakovski stated that the monument of “Alexander the Great”, which at one time was renamed “Warrior on a Horse” would not be removed, as previously there was an assurance, and the Working group in charge of “Skopje 2014” still insists on it. It will bear the real name but it will also receive an explanation that, according to the Prespa agreement, it is part of the Hellenic ancient period and part of the world cultural heritage. The same will apply to the monuments of “Philip II” and “Olympia” located on the left side of Vardar through the Stone Bridge. The professor and coordinator of the Working group Miroslav Grchev, despite this decision of the Government, continues to demand the removal of the monuments of “Alexander the Great”, “Philip II”, but also for most sculptures and baroque facades. According to him, the opinion expressed in public that it will have an additional expense is insignificant in terms of the fact that these monuments will continue to cause different damages. There is nothing disputable for him about the monuments of H.T. Karposh, Nikola Karev, Dame Gruev or Goce Delchev, but for others he believes that they should be removed. He is dissatisfied with the attitude of the government that this project, as he says, is put on the “tail” of the priorities. He says that all of these things built with Skopje 2014, all of these darker villages are a crime for the state. “First I cannot forgive this Government that it accepted it so easily, as they call it “shampita”, the government building. It can be restored in the original state of the work awarded and praised to my previous professor Mulichkovski. And this supreme architectural work is now covered with a disgusting kitsch and architectural nonsense”- Miroslav Grchev. “First I cannot forgive this Government that it accepted it so easily, as they call it “shampita”, the government building. It can be restored in the original state of the work awarded and praised to my previous professor Mulichkovski. And this supreme architectural work is now covered with a disgusting kitsch and architectural nonsense”, says Grchev. He believes that the facades that destroyed many modern buildings must be reconstructed, and those buildings that are cultural monuments should be returned to their original condition. For newly constructed buildings, which, due to poor quality, are beginning to decay, he says that they should be left with time to destroy themselves, and then decide what to do with them, whether some will be reconstructed in normal facilities, and for others it will be additionally decided what to do. Grchev is angry with this government for leaving some of the projects still functioning normally. “Souvenir gift shops are still working. For souvenirs, otherwise ordered mainly from China, huge sums of citizens’ money were spent. But instead of deciding to remove them, they are still standing in two rooms of the Museum of Contemporary Art. Premises that should be used for exhibition museum stands, are warehouses”, he says. Regarding the financial analysis of “Skopje 2014” and the elaborations that they have developed, Professor Grchev states that in all of them there are crime indications and facts. 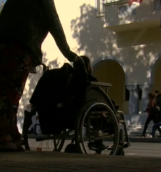 The Special Public Prosecutor’s Office did not want to talk about the investigation of “Skopje 2014” having been conducted for more than 2 years. They only told us briefly that they were still in a pre-investigation phase and that at that moment they could not reveal anything else. The State Audit Office found a number of violations in several separate analyses of the Ministry of Culture, the municipality of Centar, as well as the City of Skopje, which had targeted account – Culture, on which money was transferred from the state budget. All in all, the content of the controversial, too expensive and dubious artistic and aesthetic values, the project “Skopje 2014” smells of megalomania, tastelessness and crime. 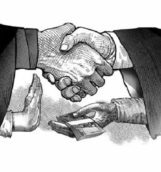 But it seems that the new Government of the Republic of Macedonia, which in front of the citizens had undertaken an obligation to review all aspects of its realization, forgot the promises. The process of demystification of this project is currently slow and unproductive.